You Won't Be Single Forever. 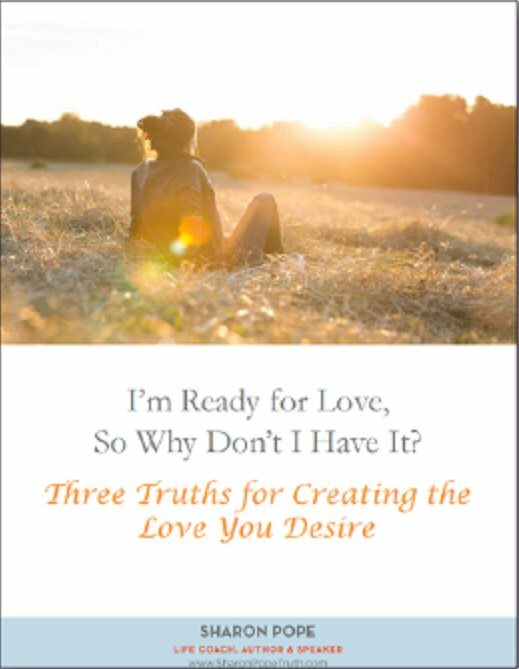 Discover The Three Essential Truths To Creating Deep, Soulful and Lasting Love. You’ll learn these truths and much more. This free e-book will show you exactly how you’ve been holding yourself back from the love you’ve always wanted… and how you can grow into the love you deserve. Isn't it time to get what your heart longs for? There is a love that will put a sparkle in your eyes and light you up like never before. Take the first step in understanding how to find, keep and grow that kind of love. Has Lasting Love Remained Elusive? Perhaps you’ve longed for love and never really felt like you’ve had it. Or, maybe you thought you did but it ended in heartbreak. 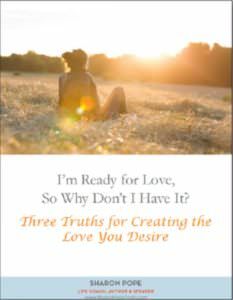 Whether you’re newly single, been single for a while, or feel true love has always escaped you, there is a way to the love you desire. If these questions and thoughts sound familiar, you’ll love this ebook.